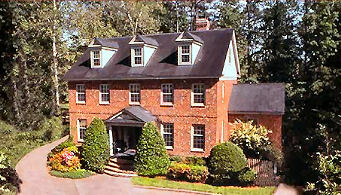 An 18th century plantation style 3 story brick colonial. 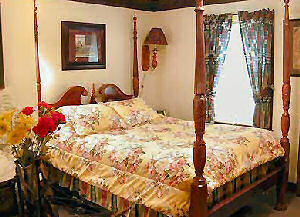 Suites, chamber room, fitness center, billiard parlor, screening room with 60" tv, famous "skip Lunch" breakfast. The Williamsburg Sampler Bed and Breakfast Inn is the finest 18th Century plantation style colonial, and located in the City of Williamsburg's Architectural Corridor Protection District. Although this home was built in the year of the bicentennial, it captures the early American spirit of historic Colonial Williamsburg. This home will immediately gain your love with its warm atmosphere, tasteful decor, and fine carpentry. Proclaimed "Inn of the Year" by Virginia's Governor. 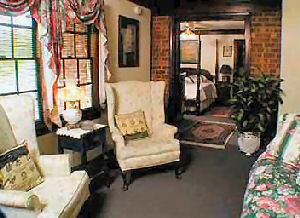 This and other Williamsburg Bed and Breakfast Inns can be found here online in The Register.